Beliyf are a “strategic consulting firm” but that’s a bit boring, so they’ve positioned themselves as much more interesting through great design and copywriting. The creativity on show here is superb and their passion really shines through with the words they use. The headlines speak directly to business owners’ common fear of being copied. I know this is a common fear from learning about business over the last couple of years myself. Beliyf have hooked business owners in because they know this is one of the biggest fears they have. It’s the ideal start to this great design. Great copywriting comes from a great understanding of your customers. Although the second headline is a little vague, it has enough intrigue to find out what exactly can’t be stolen and only one action to take, there can be no confusion as to what to do next. Following on from the Discover Beliyf page (another simple page after the homepage), you arrive at the start of “Your Journey to Beliyf”. The design for this page is over 8,000 pixels long! For a while in the design industry we’ve been told to keep as much above the fold as we can, or at least the important stuff. This has changed over the last few years as designers have become better at communicating to clients that people do scroll. Explore the screenshot to see how well the page flows from top to bottom, despite its length. Clever use of the “stepping” stones guide you through from one section to the next and each section is clearly defined with its own beautifully arranged collection of leaves. Use the power of design to entice people down a page. The stunning tree assortment of leaves at the end of the page is one of those moments where I wished it was something I could design. “Wonder”, “energy”. “animate”. “awakens”. “reenergised”, “vibrant”. “creative”. Words that ooze positivity and excitement are sprinkled generously throughout their story, expressing Beliyf’s passion and enthusiasm for the work they do. You can tell they care before you even talk to someone and if they’ve taken this much care with their own site, they’ll do the same for you. Using all those positive words is all well and good, but at the end of the day, potential customers want to know the benefits of a product or service. Beliyf describe exactly what the result of their help will do for their clients. Notice the smart copywriting technique of the periodic use of their name throughout this page, making sure you are aware of who they are, which is especially beneficial as they have a slightly odd name but this is their introduction to you so they certainly want you to remember them. As an introduction to Beliyf and what they offer, they want to guide you through the experience of who they are. You’ll find as you explore the site that there aren’t four or five things you can do, there’s only one. It’s very focused so they can achieve a goal. Their goal is for you to find out who they are, like what they offer and contact them. The final step of this introduction process is the contact page. For the reason of aiming towards a focused goal, it’s a perfectly fine choice to hide menu items behind a menu button, even at desktop sizes. Those who want to find more information can do so by exploring the menu. The footer isn’t even included on previous pages until you reach this one. That’s how you know they’re deliberately focusing you down a path. General advice would say you must have a footer but there are times where ignoring design conventions can increase the effectiveness of a design. Sean went on to make over $93,587 in just a few days. Clearly the length of the page didn’t negatively affect the success of his project. In fact, a longer page almost certainly helped because thoroughly why anyone should sign up and it was wildly successful! You’ll also hear marketers say you’ve got to keep things very short and simple. An 8,000+ pixel long page is completely opposite to that advice. The vast majority of “expert marketers” giving out advice simply have not tested long designs or copy. Arm yourself with this information the next time a client wants to cram everything into the top of the page. It wasn’t a surprise to discover Beliyf was design by Mike Kus, one of the most creative web designers out there. It works beautifully and because no-one else is doing it, it feels unique and fresh, even though it isn’t the first time anyone has done something like this. It contributes to a timeless design that will look just as good in five years time. The creativity on show here is wonderful but it never takes away from the main message but enhances it. Their service is all about making their clients unique and they create trust by displaying their own uniqueness to the world. How often do you see a company offer to contact you? It’s very uncommon but that’s exactly what Beliyf do when you reach the contact page. Such a great way to encapsulate everything they’ve said previously in a single sentence. The call to action buttons are a little weak, visually. They get a little lost as a result. Being the great design it is however, there isn’t much to distract you. Having said that, they would stand out more if they were full colour buttons rather than text surrounded by a border (sometime referred to as ghost buttons). 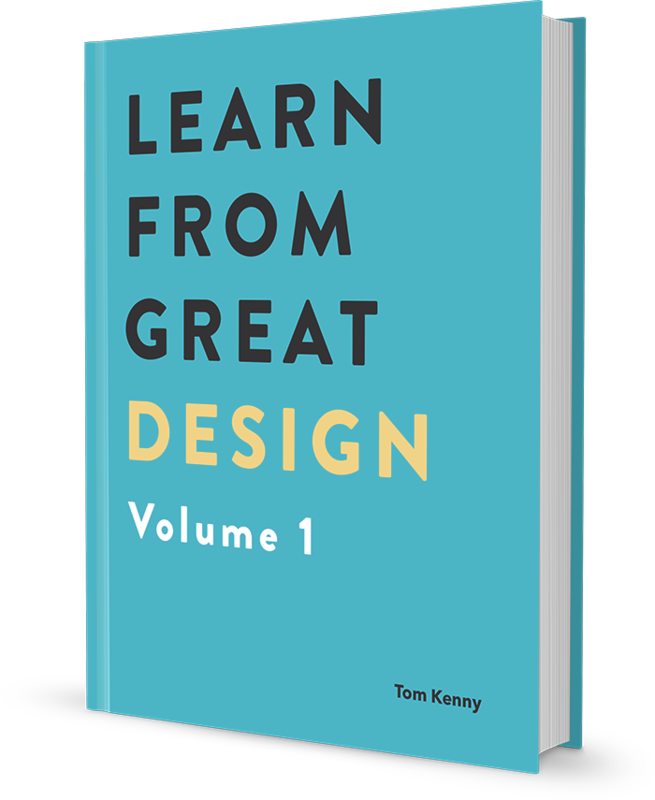 Make others believe in your own design work by learning from the great design Beliyf have released into the world. Find your unique 10% to take your design work to the next level. This is great design because it is simply good solid web design at its best. Just simple, straight to the point design.